Please note that this site is unofficial and is not connected with Northern or any rail company. This is an experimental service: it is unofficial and accuracy of the data not guaranteed. Delayed trains are shown in red, but if a train is delayed in departing its starting station, 'On Time' will appear until it does depart or is cancelled. This site is for users of Davenport railway station, Stockport, England - and for all the people of Davenport. Our aim is to have plenty of useful information for users of the station, and act as a forum for contributions and suggestions. Information here is presented in good faith, but we cannot be responsible if your train (or bus) does not arrive when expected. When the office is closed, tickets are sold on the train. Davenport is a mostly-residential, tree-lined, suburb of Stockport, in Greater Manchester, England. Its focal point is its railway station, which is on the Manchester - Stockport - Buxton line, and it does have a range of facilities within a short distance which make it a particularly good place to live for anyone who does not wish to drive a car. Minutes from the station there are some good quality shops, including convenience stores, a pharmacy, a baker, and a butcher as well as a post office/newsagent. Davenport is well-served by buses to Stockport town centre, and the trains will get you to Manchester Piccadilly station in 20 minutes. 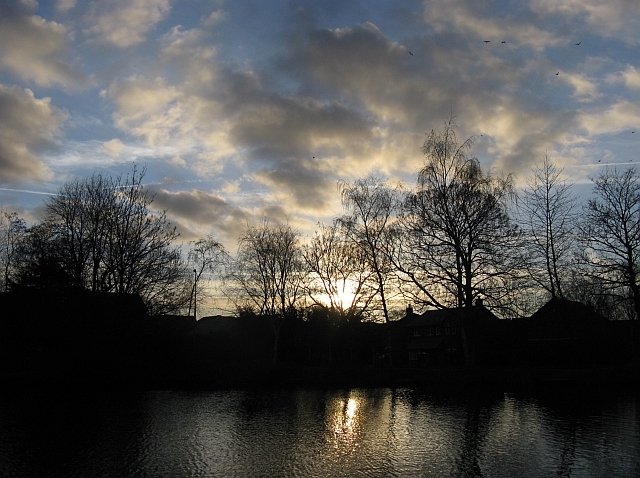 The trains heading away from Stockport offer an instant transfer to the countryside, with pleasant walks along the Middlewood Way and Peak Forest Canal 15 minutes away and the Peak National Park within half an hour. Stockport's main hospital, Stepping Hill, is a couple of kilometres away, and even the town's cemetery and crematorium are within walking distance. We have a 'green-flag' park, Cale Green Park, incorporating a kids' playground and with Cricket and Lacrosse clubs adjacent. A Methodist church is nearby, and the large late-Victorian Anglican church, St George's, is a short walk towards Stockport. Follow @dvnstation on Twitter for news and views about the station and village. Without any explanation to passengers, or publicity, the two trains per hour service which has been available on Sundays at Davenport has been reduced to one per hour with effect from 31 March, with the Hazel Grove 'turnbacks' removed and only the Buxton - Manchester services running - and number of those were cancelled at short notice on 31 March due to unavailability of staff. Anyone downloading the timetable leaflet from the Northern website will get the impression that there are no Sunday services at all, whilst the timetable posters at the station have not been altered at the time of writing. Note that the last train from Manchester on Sundays is affected by this. Furthermore, advance information shows that this situation will continue through the summer. The machine does not take cash, and the text on the promise to pay ticket seems to imply that the conductor will only accept it and not cards. However, what's not clear is what happens (outside ticket office hours) if you have a season ticket of pass and want to continue beyond its validity, a feature not available on the machine. Presumably there is no need to get a promise to pay ticket. The revenue officers who will be charging the penalties have some discretion, hence the word 'may' in the Northern documents. It remains to be seen if this discretion applies to someone travelling towards Buxton who does not make the journey over the bridge and back to buy a ticket or promise to pay ticket. Problems really start when the machine is out of order, not an unusual occurrence. If the conductor does not appear, will the agency staff who check tickets at Piccadilly believe you? It's been suggested that you take a photo of the machine as proof! Our latest local history feature attempts to unravel the complicated history of the 'Jolly Sailor' inn and its surroundings. Comments are very welcome. Changes to fare and ticket options are coming thick and fast from Northern, sometimes leaving customers (including us) puzzling about the details. Northern's Season Tickets sold or renewed now are being issued on (in?) plastic 'Smartcards' which need to be scanned by a reading device to check the ticket that's 'loaded' on them. The plan is that the system will later be extended to other kinds of ticket, in the style of the London 'Oyster Card'. There is no need for a photograph, but holders 'may be asked for proof of identity'. The cards are 'not transferable', so your partner can't use yours at the weekend, but we suspect this will be hard to enforce. Sadly, travellers are now faced with a variety of cards to keep in their wallet - Stagecoach Bus, Metrolink, 'Get me There' etc. Perhaps things will become clearer in due course. There is a web page about the system, but some aspects seem vague to the uninitiated. Conductors and ticket checkers will have to carry a scanner to check passenger's tickets as there is no visible evidence of the expiry date or route, while ticket barriers will read them in a contactless way. Presumably compatible scanners will have to be issued to conductors of all companies sharing routes with Northern if the current validity is not to change, as there is nothing to prevent us using our Davenport - Manchester season tickets on any train from Stockport to Manchester, for example. From 18 March, the Buxton line will be included in Northern's 'Penalty Fare' scheme. 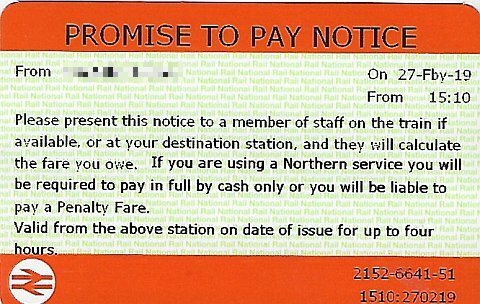 If you join a train with no ticket you become liable to pay a Penalty Fare - see the Northern website for details. Outside booking office hours you are expected to obtain a free 'Promise to Pay' (PTP) ticket from the station ticket machine, and pay on-train or at the first opportunity. This applies if you only have cash, or the machine cannot sell you the ticket you want. The latter category includes an number of different kinds of ticket as things stand - 'Duo', Day Rangers and various types of 'System One' ticket' and through tickets to Metrolink stations, no name a few. As well as being inconvenient, it is a loophole for anyone who doesn't want to buy a ticket: if challenged, just ask for one of the above. We have been told by Northern there will soon be new software in the machines which will be able to deal with a bigger range of tickets. An irritating feature which applies to small stations is that there is only one ticket machine, on the Manchester-bound platform. So if travelling southwards, even just to get a PTP you will need to go to the machine, involving the steps, and then go back to catch the train (the PTP has the station name, date and time printed on it.) This will be most awkward for some users. The reliability of the machines is also questionable. A look at the Journey Check website will give a list of the machines out of action: at the time of writing,for example there 12 out of order on the network. Already, on other lines already applying the penalty, there have been cases of passengers from stations with defunct machines not being believed by the ticket staff at Piccadilly. You can, we understand, buy a ticket on-line beforehand and download it to your phone, but that sort of thing is not to everyone's taste. On 7 February the RMT union announced that they have suspended their strike action, after successful talks with the management and ACAS and an agreement to have a conductor on every train. Full details of the conductor's role are to be the subject of further discussions, to let's hope a satisfactory solution is arrived at. Some other companies now have the driver opening the doors and the conductor closing them - one possible solution, which also avoids the conductor being left behind on the platform, but we have no detail about what exactly is proposed. It's noticeable that the RMT have used the term 'Guard' in all their pronouncements, although the official title has been 'conductor' for some years. Ward councillors have held meetings with council officers about traffic and related issues on Oakfield Road. Firstly, concerning traffic calming matters, a set of plans have now been produced. These will be circulated to all residents on Oakfield, Elmfield and Beechfield roads in the very near future [update - now received]. Further you will be invited to a drop-in consultation event which will take place on 28th February. Secondly, enforcement officers have promised to step up visits to Creative Apparel. This will include monitoring of loading/unloading and issuing of, where appropriate, tickets. The temporary planning consent for the containers is due to expire in June. So far no application has been made to extend the temporary application or to move the operation to another location. The situation will continue to be monitored. We appreciate that residents have produced significant evidence of unacceptable loading activities at the site. However, enforcement officers have asked for details of peak times when loading and unloading talks place on the pavement. This is to target their visits to the unit. Some good news is that Almond Family Pubs have confirmed officially that they have taken on the 'Jolly Sailor' and will be refurbishing it, with an enlarged dining area at the rear and various other improvements, for re-opening in 'Spring 2019.' Here is a link to their announcement and here's a link to their planning proposal which has been granted by the Council. Almond are known for their carvery style of operation, but they assure us that there will also be a choice of other meals, and also an area reserved for drinkers. 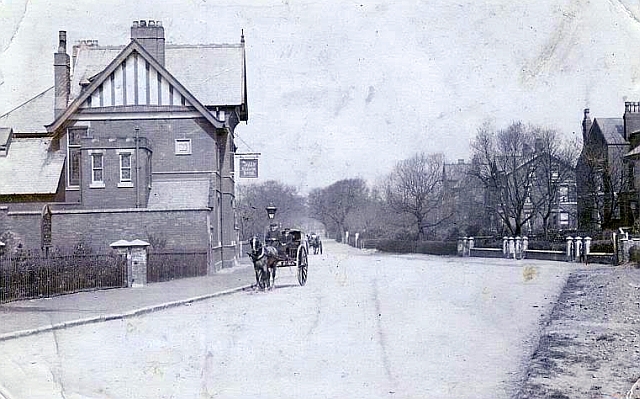 The building was built in 1895 for the Daniel Clifton brewery to replace a smaller pub, built in the traditional style in the 1790s; the image above dates to around 1902. 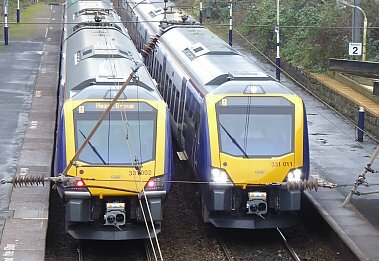 RMT members across Northern Rail are standing rock solid and united again on this 45th ‎day of strike action as the company ploughs on regardless with its plans to throw guards off their trains and resorts to a barrage of complete misinformation aimed at the travelling public over their clear intention to introduce widespread driver only operation. Some members, we suspect, welcome the relief from the anti-social behaviour sometimes seen on Saturday trains. The managers who are required to 'voluntarily' act as guards, on the other hand, must be running out of patience. Northern, for their part, repeat that the Department for Transport have agreed that every train will have a 'second person' on board to help and advise passengers, sell and check tickets and so on, while the driver, aided by cameras on the outside of the train, controls the opening and closing of the doors. This promise, which the RMT say is 'lies', is a softening of the original requirements of the Franchise which allowed for trains to run with just the driver if for any reason there is no second person available. Of course, there are no cameras on the outside of our existing trains, and it's doubtful whether there can be, given the very small space for the necessary screen in the driving cab of some of them. The new trains which are soon to be entering traffic - class 195 diesels and class 331 electrics, do have this feature but can also be worked in the traditional way. However, although they are promoted as replacing the unloved 'pacer' units, the diesel trains are unlikely to appear on the Buxton line soon, although it is possible that an electrified Hazel Grove - Blackpool service might appear in May 2019. Our feeling is that 'Driver Controlled Operation' on our line can not appear until the Class 150s, built in the 1980s, are replaced by new trains after 2025. The difference between the two sides in the dispute, apart from the doors, is - we understand - the amount of training and responsibility required to be a traditional guard, which includes the need to be familiar with the stations and other features of the line being worked. Like drivers, they 'sign a route' and cannot be used flexibly across any route. Guards also have training in 'safety critical' matters related to what to do in an accident, train failure, or similar situation. Passengers may need to be evacuated, and possibly action taken to prevent a collision should a train derail or worse. A broken-down train might need to be rescued by another. These are, of course, very rare events, and even more rarely does the driver become incapacitated, but it does happen. We are not offered any information by Northern about the role of the 'second person' in such cases; perhaps at least they will have an emergency phone number to call. RMT with their frightening website videos make much of the other aspect of safety, the personal safety of the passengers during the journey. However, in theory, the 'second person' freed from the need to work the doors will be a better position to reassure passengers. But, like the current guards, they are not going to be in any position to disarm a frenzied knife attacker or bomber. Many of our four-car trains don't even have a way for the guard to access the front two coaches while the train is moving. At the root of all this is, of course, Government money. The franchise runs until 2025; currently the company receives around a quarter of a billion pounds per year to add to fares revenue. The franchise agreement requires that by 2025 this must be reduced to somewhere near £50 million, while running more train services. How is this possible? Partly by paying less money to the new 'second person' grade, and partly by needing fewer people because of the greater flexibility. But we have yet to discover how much money the drivers' union will demand for the extra responsibility transferred to their members. The company directors say they are guaranteeing that the existing guards will retain their jobs and salary until the end of the franchise in 2025. And we must bear in mind that local trains mean nothing a very large proportion of taxpayers. RMT paints the owners of Northern, the German State Railway, as 'profiteers', but published figures suggest that, at best, they can hope to achieve a 2% profit margin. It's not surprising that the Government is finding it increasingly difficult to find operators of regional companies. Site maintained by Charlie Hulme for Friends of Davenport Station.